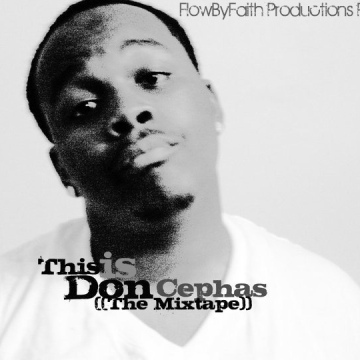 The Debut Mixtape and First Installment in "The Evolution Series: Phase 1" From Don Cephas released in September 14, 2010. Don Cephas has his focus set on one thing. To direct all Glory back to GOD. Since from the days of rocking church events with L.J.I. until now, one thing has been certain. The Heart, The Passion, The Drive all come from having an earnest desire to Please The Father, with not only his ministry, but his life. You can be sure to get nothing but, intensity, honesty and authenticity any time Don grabs the mic to give his all for The Father. As a servant ready to lay down his own life for the sake of Christ, One things for certain is this: the only thing that will silence him is death itself.